If you love working on cars, then you’ve likely helped a friend or two with their vehicle troubles. It may have been something as simple as a battery or oil change, but they were still grateful that you were there to help, especially if they had tried on their own and found it to be too difficult. You may have also helped with more major repairs, such as replacing brake pads or switching out a fuel pump, and if you’ve become the neighborhood mechanic, then it’s important to have a place where you can work. With a custom garage from Better Built Barns in Washington, you can work on any car under the comfort of your own roof! 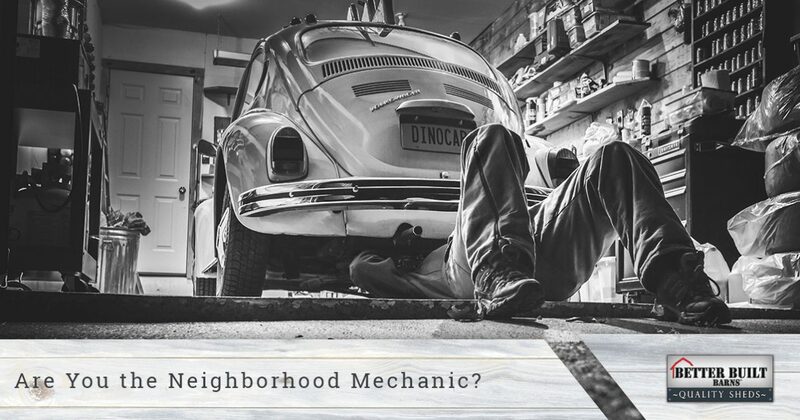 If you have several neighbors come to you multiple times a year to work on their vehicles, you might get tired of going to their houses to see what the issue is. Even if it’s just down the street, you have to bring your tools with you, or go back and forth between your house and theirs to get the proper parts. You might have a sizeable toolbox in your truck, but how much easier would it be if you were working in your own garage? With a new custom building, you can work on the car or truck inside and within reach of all your tools. If you need to keep the vehicle for a few days, you can park it inside and out of the elements. Speaking of the elements, how many times has a neighbor knocked on your door during inclement weather because they can’t get their car to start? While there’s nothing much that can be done about a dead battery in a snowstorm, other than replacing it, you can work on other projects out of the wind and weather by putting up a custom-built garage. You can design it with a rolling door that makes it easy to move the vehicle inside when it starts to rain or snow, and you can even add heat and A/C so that you can work indoors all year round. 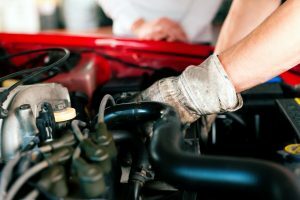 If you’re constantly working on vehicles for friends and neighbors, then you may think about starting your own mechanic’s business. Instead of looking for a commercial space that you’ll likely need to renovate to get ready, you can start your business out of your backyard shop. You may need to plan the landscaping and driveway for an easy approach to your garage, but with the right design, you can soon have a booming mechanic’s shop on your property. 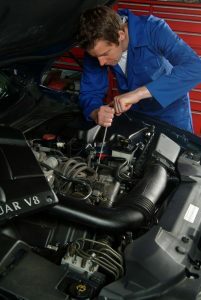 If you’re the neighborhood mechanic and you need a better place to work on vehicles, contact us in Washington today. We have a number of great options to choose from, and we’d love to help you find your new custom garage. You may not need a lot of space, but being able to work inside and keep vehicles out of the elements can make a big difference.